Thank you for following up. We had an incredible experience in China and are very thankful for Peicy's help before and during the trip. I will follow up with more detailed feedback as soon as I can. Greetings from Kuala Lumpur, Malaysia !!! Everything is fine Ricky, starting with your tour consultant Ms. Peicy Wang who is friendly, efficient and always replying my emails promptly. I think she can be a great marketing tour consultant to your firm! We're sorry for the delayed on giving you an answer about our experience with the tour. 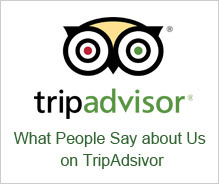 We want you to know that we had a great time and it was because of the great service you provided for us. In 2014 I made my fourth trip to China with the precious help of Charlie of Easy Tour China. Needless to say that their organization and service is perfect and they are extremely kind and efficient, this is why I have made four trips with them.